The High Court has dismissed an “absolutely meritless” claim by a prisoner that, in serving the non-tariff part of his sentence, he should be afforded all the Convention rights enjoyed by prisoners on remand or those serving time for civil offences such as contempt of court. As he had been deprived of the full panoply of rights, he said, he was a victim of discrimination contrary to Article 14. The sort of claim that gives the Convention, incorporated into our domestic law by the Human Rights Act 1998, a bad name and which furnishes its critics with ammunition to shoot it down. The claimant had been convicted of arson, reckless as to whether life was endangered. At the time of this judicial review application he was already sixteen years past the tariff part of his sentence. He was continuing to be detained as a result of judgments formed by the Parole Board that were he to be released he would pose a danger to society. When someone is imprisoned their human rights are necessarily compromised. But for those who are imprisoned for breach of an injunction, or because they have been refused bail, the position is completely different – for “blindingly obvious” reasons. This is particularly strong in the case of remand prisoners, who are as yet innocent of any crime, or at least presumed innocent. The Prison Service’s sole function is to hold them in readiness for their next appearance at court. Their imprisonment does not deprive them of any of their normal rights and freedoms as citizens, except where this is an inevitable consequence of imprisonment, of the court’s reason for ordering their detention and to ensure the good order of the prison. Therefore they have a range of rights not afforded to convicts, such as the right to carry on their business, the right to receive as many visits as they wish, the right not to be forced to work, and of course the right to vote. Whilst the claimant in this case was not seeking the right to vote, he wanted a declaration that the other rights should be afforded to him on an equal basis with other categories of prisoners. He has been convicted of a very serious offence. When released he will carry the badge of criminality until he dies. When released he is liable to be recalled. If he commits a further offence his prior offence will loom large when he is sentenced anew. If he applies for certain kinds of employment he will have to disclose his prior offence. He would be denied a visa to travel to some foreign countries, notably the USA. 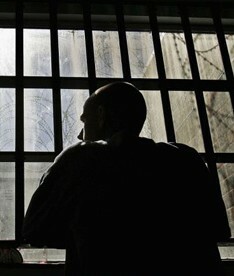 His situation simply could not be more different to that applying to unconvicted and civil prisoners. It truly is to compare chalk with cheese. It has been decided (perhaps surprisingly) by the European Court of Human Rights that being a prisoner per se does constitute another status for the purposes of Article 14: Shelley v United Kingdom (2008). “Personal characteristics” remains is an elusive test, but Mostyn J was able to draw on perfectly respectable authority for the proposition that the type of sentence cannot be a relevant status for the purposes of Article 14 (see Clift v Secretary of State for the Home Department ). The HMP detainee has been convicted of murder. The remand prisoner has not been convicted of anything. He enjoys the presumption of innocence. There was therefore no basis for founding a similarity between the cases of the HMP detainee and the remand prisoner big enough to make an Article 14 case in the light of the differential treatment of those two classes for the purposes of housing benefit. “Any custodial order inevitably curtails the enjoyment, by the person confined, of rights enjoyed by other citizens. He cannot move freely and choose his associates as they are entitled to do. It is indeed an important objective of such an order to curtail such rights, whether to punish him or to protect other members of the public or both. But the order does not wholly deprive the person confined of all rights enjoyed by other citizens. Some rights, perhaps in an attenuated or qualified form, survive the making of the order. And it may well be that the importance of such surviving rights is enhanced by the loss or partial loss of other rights. Among the rights which, in part at least, survive are three important rights, closely related but free standing, each of them calling for appropriate legal protection: the right of access to a court; the right of access to legal advice; and the right to communicate confidentially with a legal advisor under the seal of legal professional privilege. Such rights may be curtailed only by clear and express words, and then only to the extent reasonably necessary to meet the ends which justify the curtailment”.